September 7, 2018 6:01 pm. Legend of Condor (r) will have the services of Brett Prebble in the Run To The Rose. Legend Of Condor will take his place in the Run To The Rose despite misgivings about his wide barrier. Trainer Gerald Ryan said the colt would most likely need to be ridden conservatively in Saturday’s 1200m Group Two race after drawing one from the outside. The execution will be left to Brett Prebble who has returned to Australia after many years in Hong Kong. Although he is basing himself in Melbourne, Prebble has chosen to begin the next phase of his career at the Sydney meeting. “Brett has been up here and ridden Legend Of Condor in track work and he was really pleased with him,” Ryan said. “I was happy with his trial when he ran second to Champagne Cuddles and the only thing about Saturday is the barrier is not ideal. Since Legend of Condor ran 2-1/2 lengths sixth in The Rosebud won by Sandbar on August 11, he has had a 1000m-trial at Gosford on August 30. 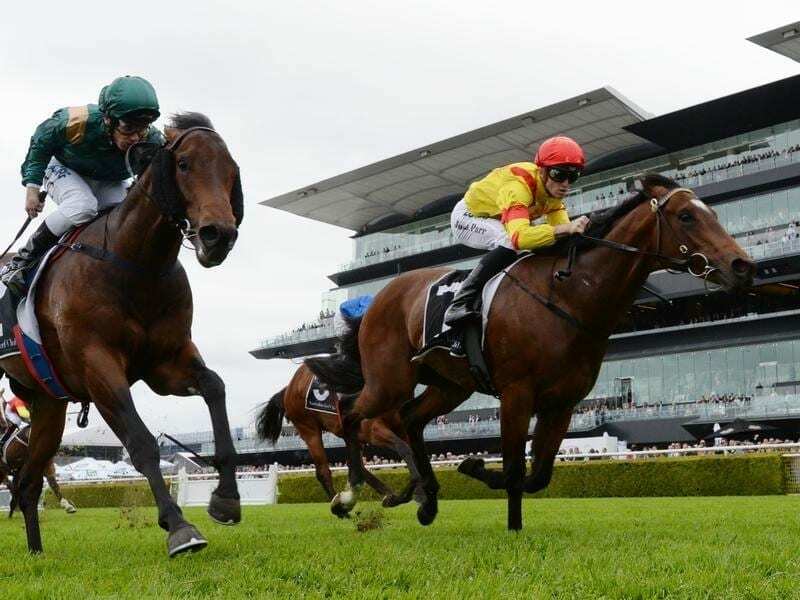 Prebble will also ride the Ryan-trained Tango Rain in a benchmark race and has also been booked for Group Two rides on the Tim Martin-trained Danawi in the Stan Fox Stakes and the Kris Lees-trained Zestful in the Sheraco. Ryan has triple Group One winner Trapeze Artist returning in the Theo Marks but is also looking for a big showing from Magic Alibi in the Sheraco. “She has run third and fourth in this race for the past two years so I’m hoping she can go well again,” he said. The Sheraco will be Magic Alibi’s first start since her win in the Listed Gai Waterhouse Classic (1200m) at Ipswich on June 16.